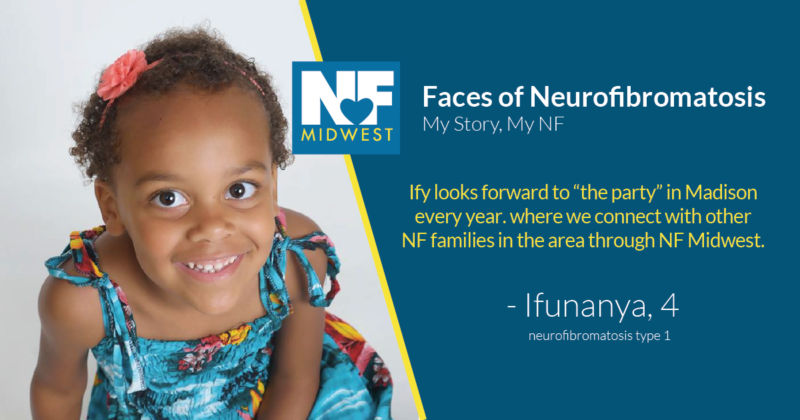 My husband and I had never heard of NF1 until May 2015 when our daughter, Ifunanya or Ify (pronounced “eff-ee”), had her 1 year old check-up. Her pediatrician asked us if we had noticed the freckling and cafe-au-lait spots on our daughter from her toes to her neck. I responded with a slow yes knowing that he wouldn’t ask unless something was off. 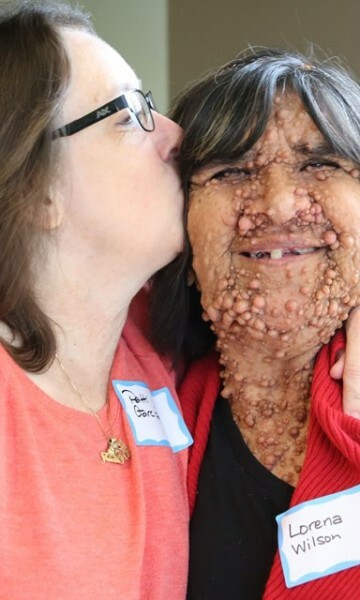 Who knew freckles could mean something more than freckles? The pediatrician then told us to “not panic” and “just wait to meet with neurology”. Of course we panicked and I researched every day until we met with a neurologist. 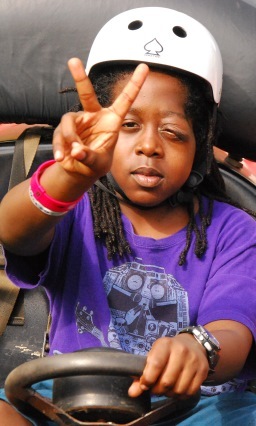 Ify had a 3 hour assessment at which point her neurologist suggested a brain scan and a genetics appointment. Her brain scan revealed two lesions, one consistent with a tumor and the other consistent with a stroke. None of that made sense until we met with an NF specialist. Our daughter went from having a pediatrician and an allergist as her doctors to having 13 specialists and then weekly physical and occupational therapy. 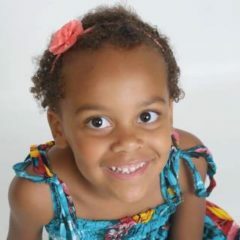 The tumor in Ify’s brain is inoperable, so she receives yearly MRIs to check in on it. 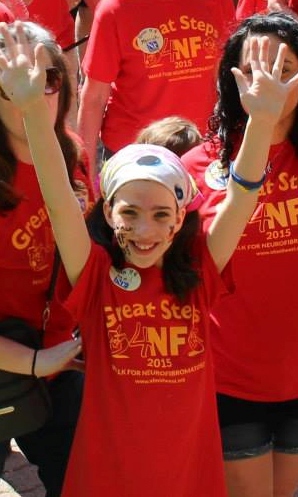 NF1 has brought tears but also helped us find positive relationships. 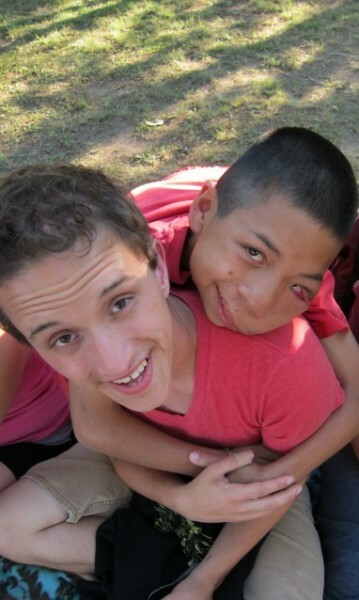 We have met people with experiences similar to ours. The day I received a call from another NF mom whose daughter also has a brain tumor, I cried. Someone got it! Someone understood the appointments, the worries, the frustrations, and the unknown. 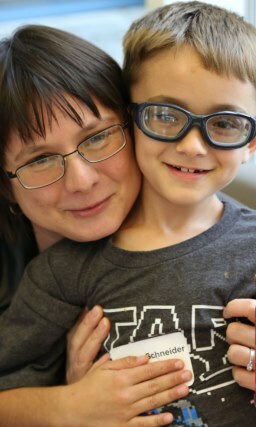 We’re so grateful for the research, support, and community we have through NF Midwest. We love you so much my sweet girl! !